One router, the Deco X10, combines Wi-Fi 6 and mesh-networking tech. TP-Link is wholeheartedly embracing the next-generation of wireless networking, dubbed Wi-Fi 6 (the common name for technology based on the IEEE 802.11ax standard). The company announced a slew of new products at CES 2019, including the Deco X10 Wi-Fi mesh router and the super-powerful Archer AX11000 gaming router. The Deco X10 is a tri-band router that will deliver wireless throughput of up to 300Mbps on the 2.4GHz frequency band, and as much as 1,200Mbps each on two independent networks operating on the 5GHz frequency band. It will sell as a two-pack (one router and one node) for $349.99. 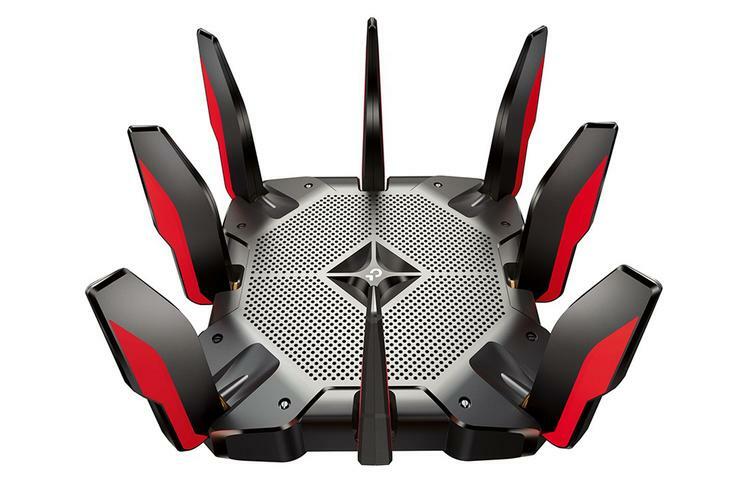 Gamers will be more interested in TP-Link’s Archer AX11000 Gaming Router, pictured up top. While this is a new market for TP-Link, it looks as though the company has done its homework to understand what gamers are looking for. The Wi-Fi 6-compatible Archer AX1000 is also a tri-band router, but TP-Link says it’s capable of providing up to 1,148Mbps of wireless throughput with its 2.4GHz network and a whopping 4,804Mbps on each of its 5GHz networks. The Deco X10 matches the design aesthetic of the first two mesh routers in the line, but is considerably taller. On the wired side, the Archer AX11000 comes equipped with a 2.5Gbps WAN port and a full eight gigabit LAN ports. USB-C 3.0 and USB-A 3.0 ports are provided for sharing storage over the network. All that power won’t come cheap, though: The Archer AX11000 is expected to sell for $449.99 when it ships later this month. If you have a super-fast broadband connection that can take advantage of a 2.5Gbps WAN port, but don’t care about gaming, TP-Link’s Archer AX6000 dual-band router delivers many of the same features as the Archer AX11000 for $100 less—and it’s available now. If you’re not a gamer and don’t need the whole-home coverage of a mesh network, TP-Link’s Archer AX1800 promises to deliver the benefits of Wi-Fi 6 at a more budget-friendly price. This is a dual-band model offering maximum throughput up to 574Mbps on the 2.4GHz band and up to 1,201Mbps on the 5GHz band. It’s outfitted with a gigabit WAN port, a four-port gigabit switch, and a USB 2.0 port for sharing storage over the network. It will sell for $129.99 when it ships in the third quarter. 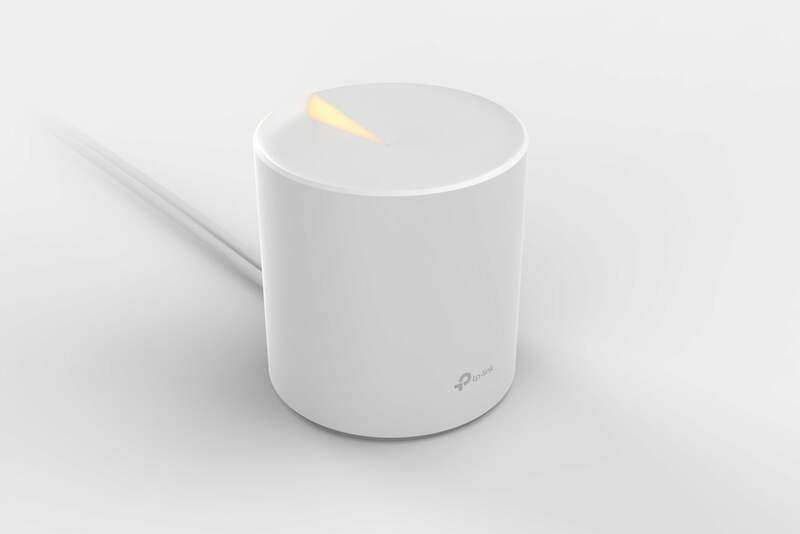 The RE705X WiFi Range Extender is the final new product TP-Link announced at CES. Classified as an AX1800 device, this is a dual-band device that promises up to 574Mbps on the 2.4GHz frequency band and up to 1,201Mbps on the 5GHz band. It supports all the features of Wi-Fi 6 and will be priced at $99.99 when it ships in the third quarter.